One thing I’ve learned since doing this review is that paper matters!! 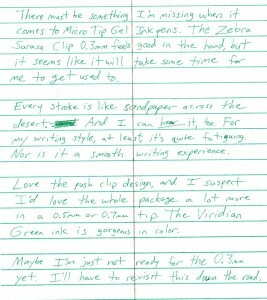 This pen isn’t quite so scratchy on high-quality paper such as Rhodia’s. Another pen you might want to try, being a lefty, is the Pentel EnerGel. My wife (who’s also a southpaw) swears by them. 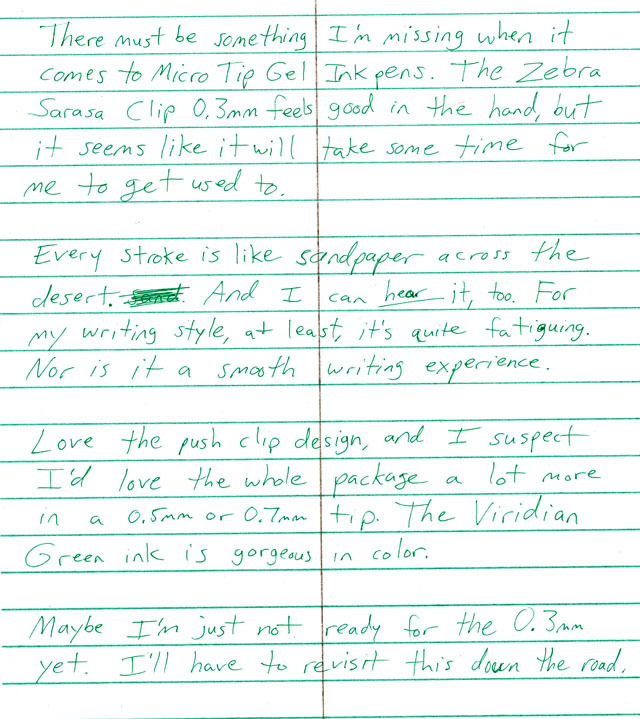 I’ve tried them in both 0.5 (needle-tip) and 0.7 and have found them very pleasant to write with. There’s the RTX line which is a bit fancier, and the newer EnerGel-X which is more plastic but still equally enjoyable to use. Give them a shot!